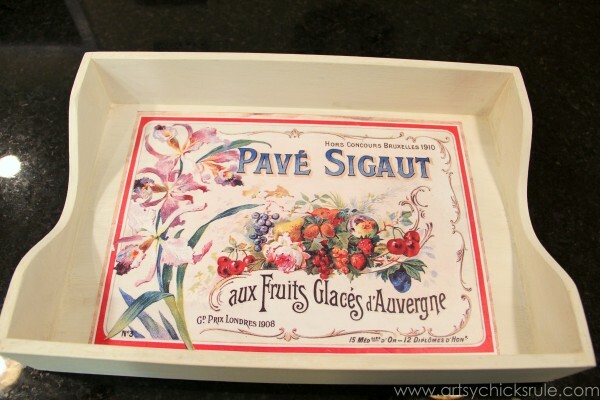 Today I’m sharing how I turned this old letter tray into a “vintage” French fruit tray. 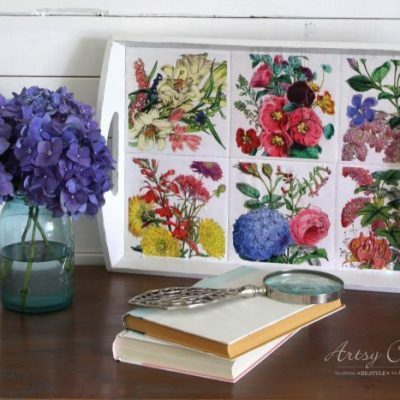 It was fun to do and was a super easy, super cheap crafty DIY. 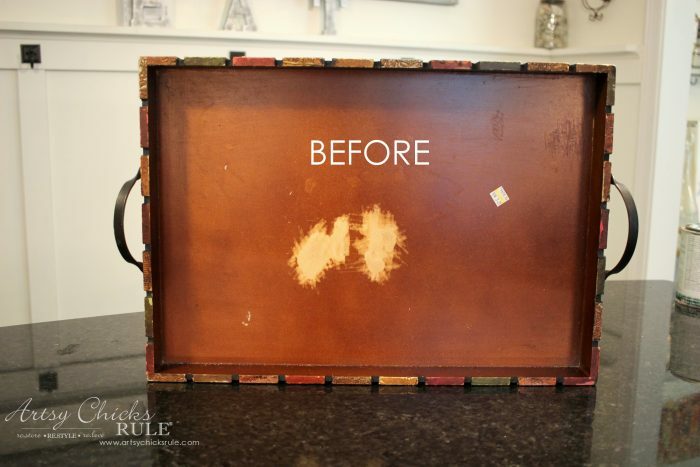 Just a little re-inventing and re-purposing…. 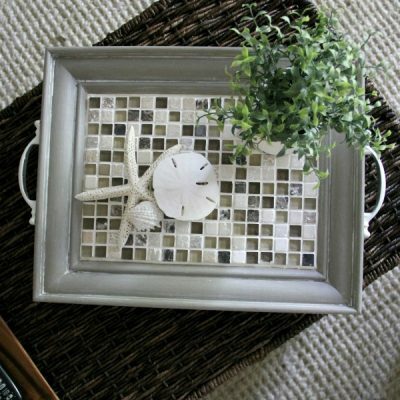 They are pretty easy to come by and are so great to “makeover” for other uses. 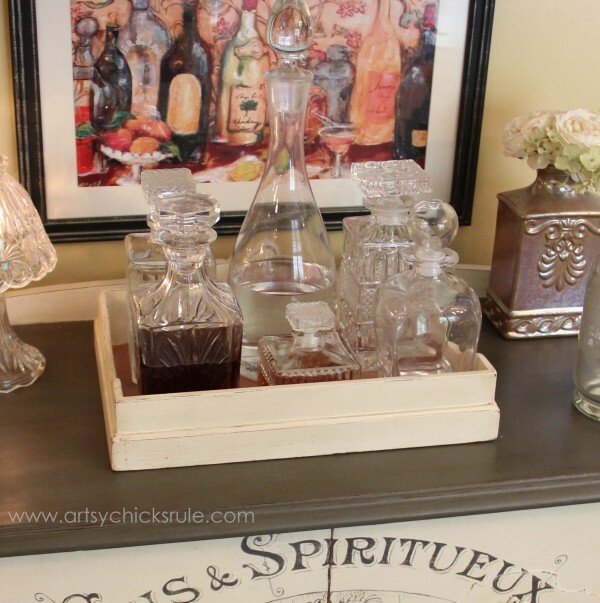 I painted this one Old White & Scandinavian Pink (Chalk Paint®) and use it for my decanters on the “bar”. You can read about it –>here. 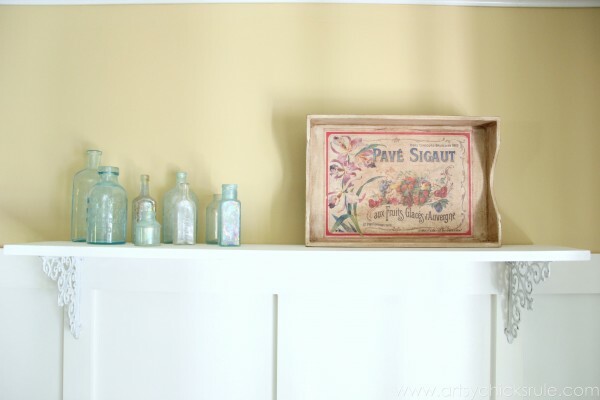 The one I’m sharing today also got Chalk Paint in Old White. 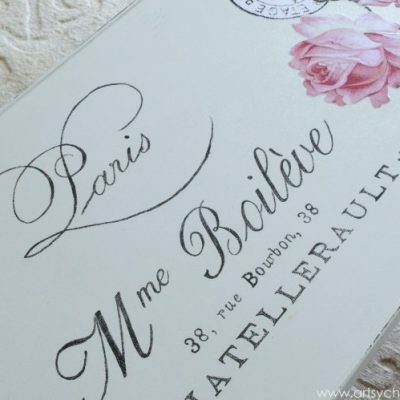 I found the gorgeous graphic I used over at The Graphic’s Fairy. 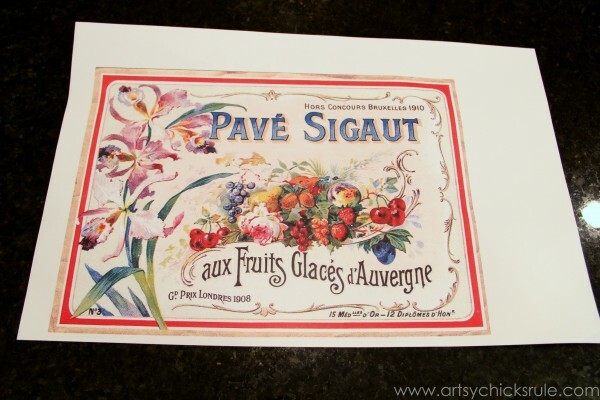 I just love Karen’s graphics….these french ones are a favorite! I also used them on this “bar” cabinet (pictured above), my “coffee bar” and a thrift store cigar box. I originally printed out the graphic myself…but below was as big as I could get it with my printer. I decided that it was too small for this tray. So I got my dear, sweet husband to print it off for me at work larger and on larger paper. 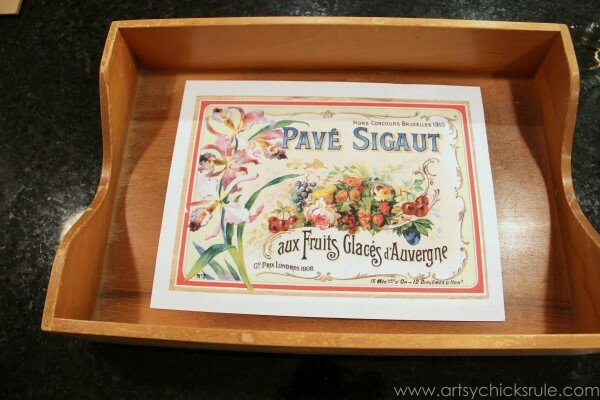 I painted the tray and let it dry. Next I applied the graphic with Mod Podge. 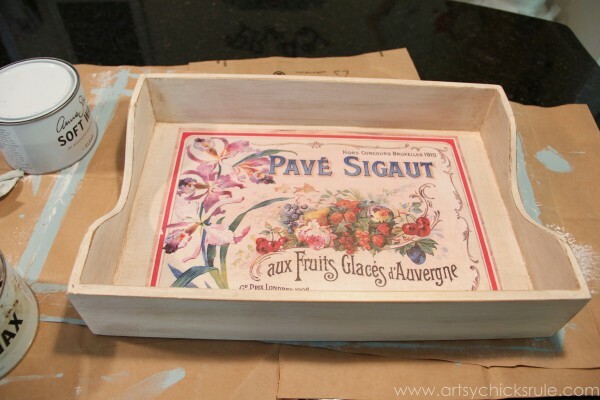 I have always used school glue (like Elmer’s) watered down for things like this but decided to try Mod Podge this go round. Kind of boring and plain just like this, huh? I know, it is. It’s missing that vintage feel it needs. Next I applied tinted glaze I had on hand thinking this would be the look I was after. I applied it all over the tray and graphic. Eh. Not great and a little too “pink-ish” for my liking. So after that dried, I went back at it with straight Annie Sloan Dark Wax. And up on my new shelf in the Family Room…. I’m not sure where I’ll use it yet. I did have it on my kitchen island with fruit in it for a bit but have since moved it. But I love it and love how it looks like an old vintage piece. Thanks Roxanne! :) Persistent = stubborn. ;) Oh yes, you should! Check out Karen’s site (The Graphic’s Fairy I linked). 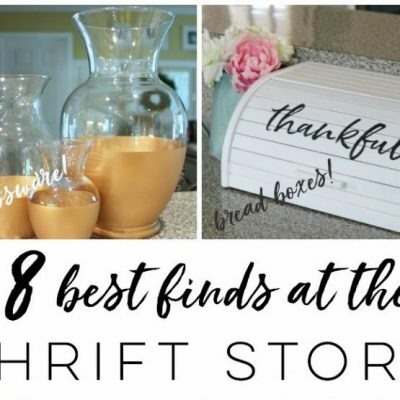 She has so many wonderful graphics you could use including this one! 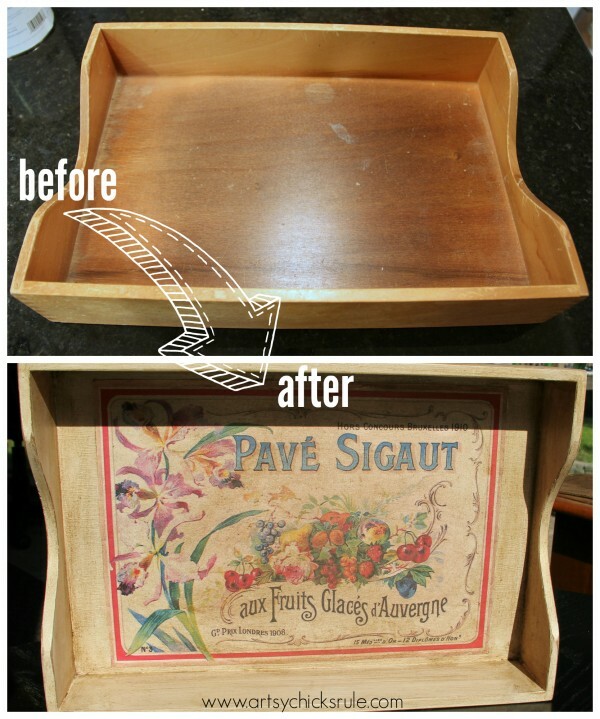 Very nice tray makeover Nancy! I love the graphic you choose (thank goodness for Karen eh!). 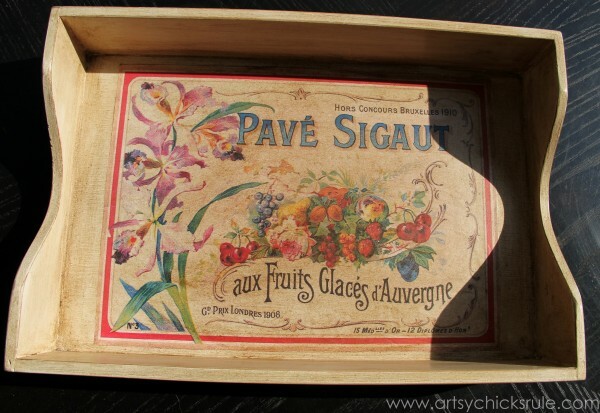 The dark wax just took that tray to whole new level of vintage goodness. Love it! Thanks Marie! :) I know, exactly, her graphics are the best!! 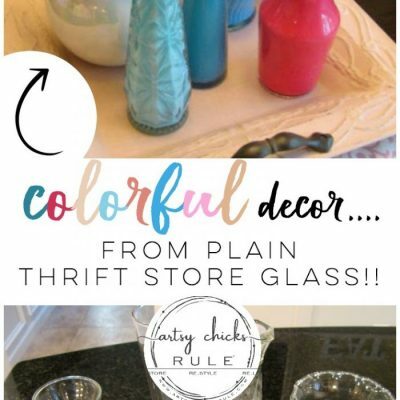 Love the colorful vintage look! 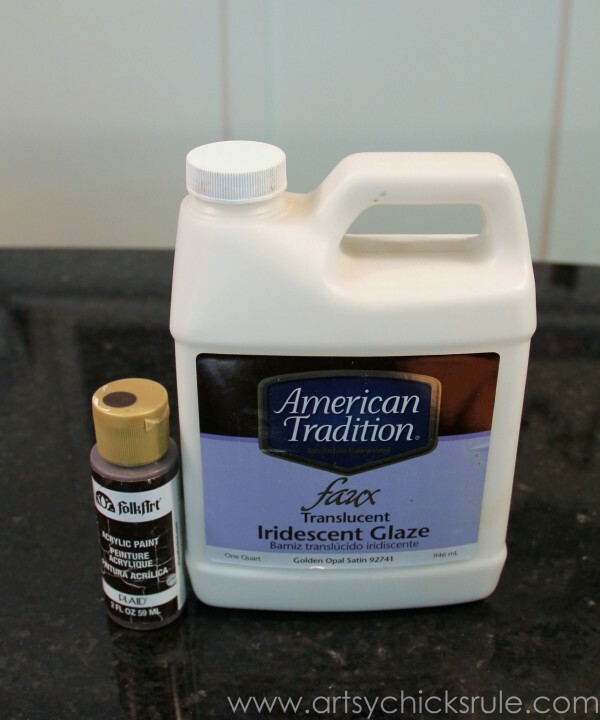 If you don’t seal the image with a top coat of Mod Podge, do you find the glaze or wax is enough to protect the image from spills or for wiping clean? 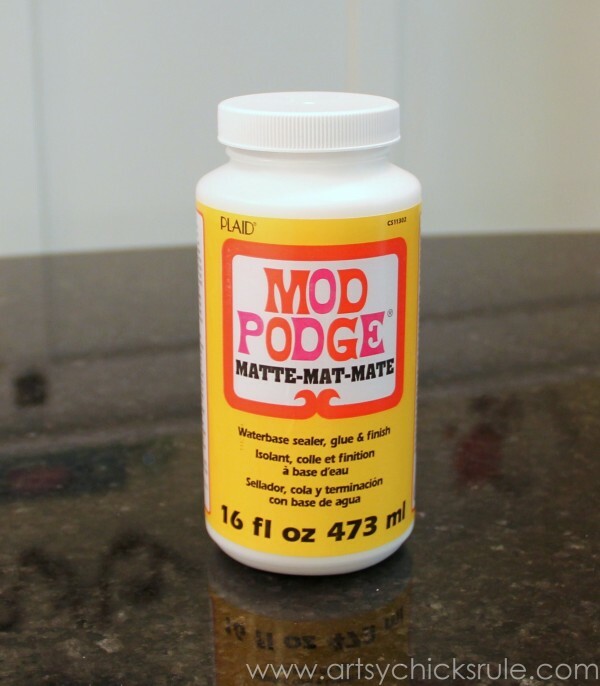 I have wondered about that because I find once I’ve applied the sealing coat of Mod Podge over my image it doesn’t take the dark wax very well for aging. Another beautiful piece! Love your style! 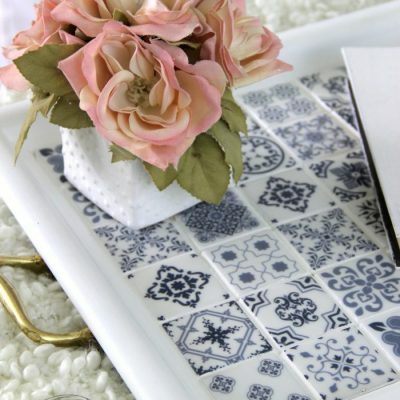 Love the look that the glaze and wax gave your tray. 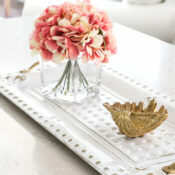 This tray got a great makeover!